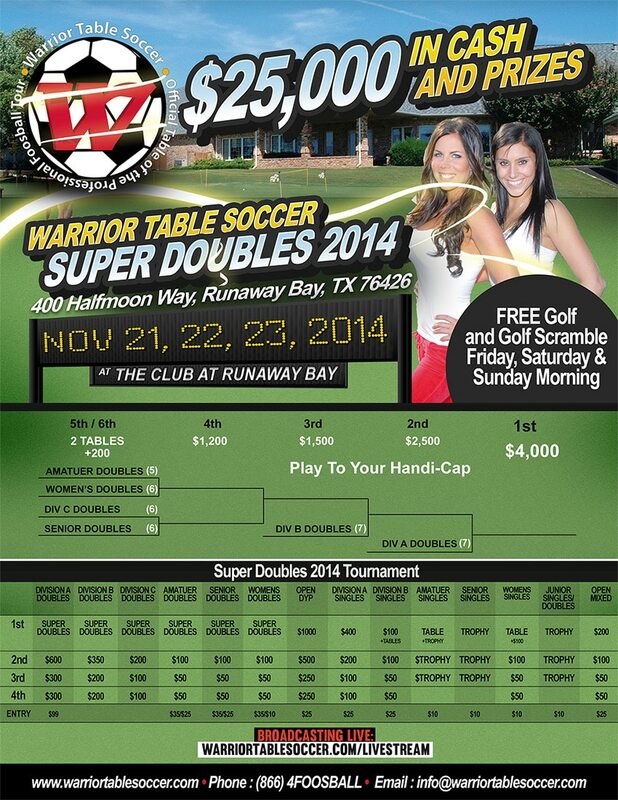 Register to play in Warrior Table Soccer’s 2014 Super Doubles tournament. If you are registering someone other than yourself be sure to leave the name in the comment box when checking out. Hi there. When is the next event for 2015? I’m interested. 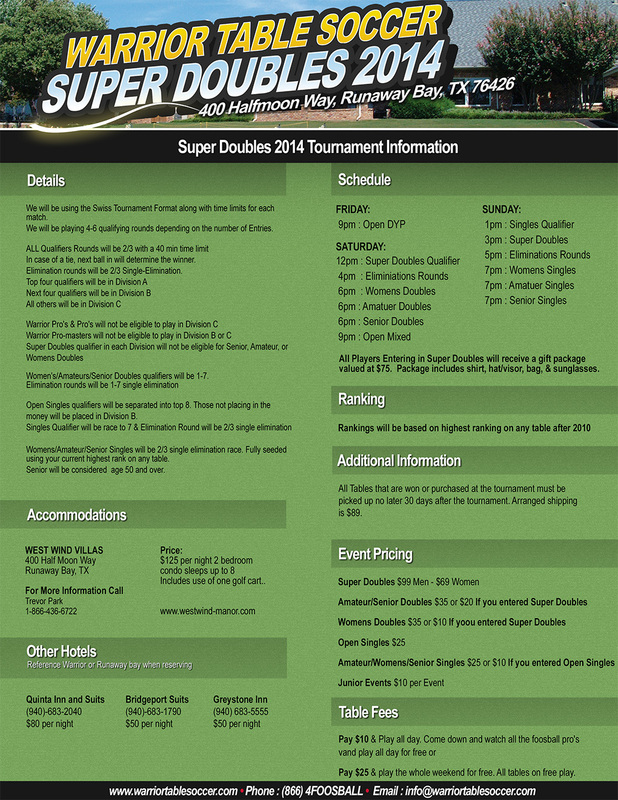 We have 2 tournaments scheduled for this year so far. The first one will be our Desert Classic Palms Springs June 12-14, 2015. The second will be our Summer Splash Baneberry, TN Aug 28-30, 2015. Both event will be ITSF Master series events. The Desert Classic will include automatic qualifiers in Senior Singles & Doubles for ITSF World Championship Germany 2017 & the Summer Splash will include Junior & Women’s qualifiers. We may be adding a third event, if we do we will be posting it on our upcoming events page. If you have questions you can call us. Hi,Is there any foosball event left this year? We will be having our South Regional Tour Event Oct 28-30th, 2016 at Runaway Bay Golf Resort, Texas.